Australia’s largest listed oil and gas producer, Woodside Petroleum, held their Annual General Meeting in Perth today, where chairman Michael Chaney made quite possibly the clearest case for reducing carbon emissions. Woodside is Australia’s tenth largest carbon emitter, responsible for over 10 million tonnes of CO2 equivalent in 2016 alone. In the last five years, the company’s scope 1 emissions have increased by 20% as operator, and over 50% on an equity basis; which calls into question Woodside’s commitment to “reduce emissions in line with the Paris Agreement”. In response to a shareholder question on this dubious record, Mr Chaney replied “when you’re increasing your volumes of hydrocarbons each year, it’s a challenge to reduce your absolute emissions… As an oil and gas producer, it’s inevitable we’re going to have emissions”. Thereby explaining climate change in a nutshell – perhaps the company’s ‘growth at all costs’ strategy needs a rethink. CEO Peter Coleman seemingly burst the bubble of investors looking for greater disclosure of climate risk too. In reaffirming the company’s commitment to ‘review’ the recommendations of the Task Force on Climate-related Financial Disclosure (TCFD), Mr Coleman said “we’ll move towards full disclosure, but there may be one or two elements there that we won’t get to”. Given that there are only four major recommendations, and the company claims that it has “already adopted the majority of the recommendations”, we can only wonder how long the company will keep investors waiting. Like their peers at Santos yesterday, neither Mr Chaney nor Mr Coleman made a single mention of climate change, emissions or disclosure in their opening addresses to shareholders. Despite all the supposedly ‘meaningful engagement’ from institutional investors, Woodside seems to have made little progress in its concern for climate change. If it weren’t for concerned shareholders, the issue would not have been raised at all. Mr Chaney even went so far as to criticise those asking questions about climate change to be focussed on such a “narrow issue”. Investors also proved their disdain for climate action, by overwhelmingly supporting the election of former Federal Resources Minister, Ian Macfarlane, to the board. Mr Macfarlane, now the CEO of the Queensland Resources Council, now actively lobbies for the Queensland coal industry. Hardly the ideal candidate for a company looking to displace coal-fired power generation in Asia. The world’s largest investor, BlackRock, confirmed its policy to vote against directors that cannot prove their “fluency in climate risk” isn’t worth the paper it’s written on, given Mr Macfarlane’s parliamentary record on climate change. Mr Chaney very nearly made the case for including climate denialists on company boards. When questioned about Mr Macfarlane’s position on climate change, Chaney explained “what you don’t want on boards… is everybody who has exactly the same view on every issue”. 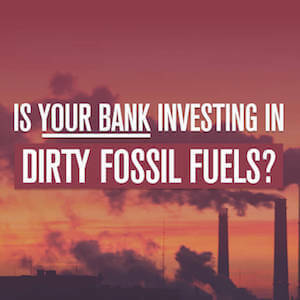 We’d suggest that everyone on the board of a fossil fuel company should understand and accept the science warning of the massive environmental, social and financial risks posed by climate change. 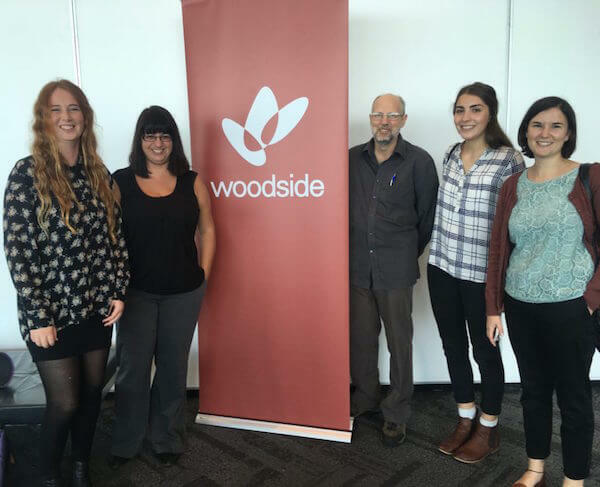 Woodside claims to be “committed to being part of the solution” of climate change, but their AGM proved otherwise. Senior executives must take public opportunities like an AGM to address climate change, and they must follow it up with action – like improving climate risk disclosure and reducing emissions.